Three main emblems constitute the Pentecost University College Coat of Arms—a dove, a Bible and an Adinkra symbol. The Bible represents the biblical principles upon which the University College was founded, and the dove is an emblem that symbolises the enabling power of the Holy Spirit. The Adinkra symbol, Ohemaa Nkyinkyin, is an Akan motif that, among others, represents a person who is very skilful and versatile. 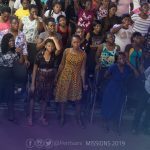 In our context, the motif signifies the life of an individual, who has been empowered by the power of the Holy Spirit and has attained academic knowledge for excellent service. 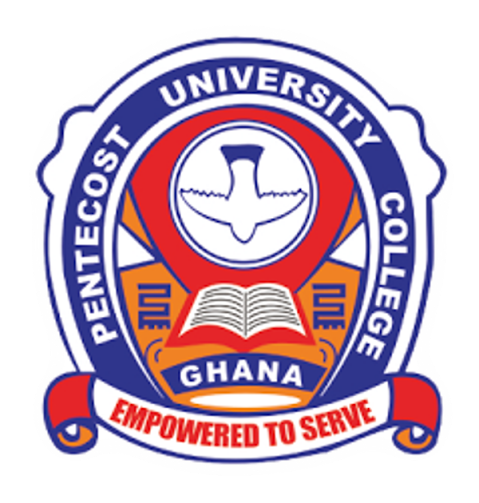 The red colour symbolises Pentecost and the gold colour represents the golden jubilee year of the Church of Pentecost (CoP) – 2003, the year in which the Pentecost University College was registered.